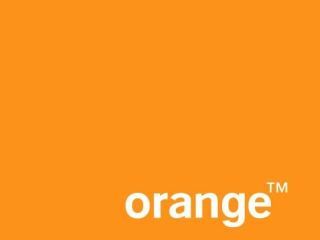 Orange has been announced as one of the first operators to partner Microsoft in bringing Windows Phone 7 Series handsets to the UK. With phones to launch later in the year, Orange has revealed that it is because of the operators long relationship with Microsoft that it is to stock the handsets packing the company's OS. "We have a long-standing and successful relationship with Microsoft, having introduced the first ever SmartPhone together back in 2002," said Olaf Swantee, SEVP of Orange's Global Mobile Business about the collaboration. "Eight years on, our collaboration continues to bear fruit as we look to bring Orange Windows Phone 7 Series customers more than just a phone, but a full end-to-end multimedia experience that will give them enhanced access to content and dedicated in-store support." Some Orange-specific content will be available on the handsets, with Orange TV and Orange Navigation pipped for a place on the phones. As well as localised video content (like sports) depending on where you are in Europe. "We are excited that Orange will use Windows Phone 7 Series to offer differentiated services and added value to their customers throughout Europe with their dedicated care package," said Andy Lees, Senior Vice President of Mobile Communication Business at Microsoft about the link-up. We're certain that Orange won't be the only UK-specific operator to bring Windows Phone 7 Series to the UK later in the year, but it's certainly the quickest to let everyone know.